In the last few years, WhatsApp popularity increased rapidly with more than 1.3 billion active daily users. 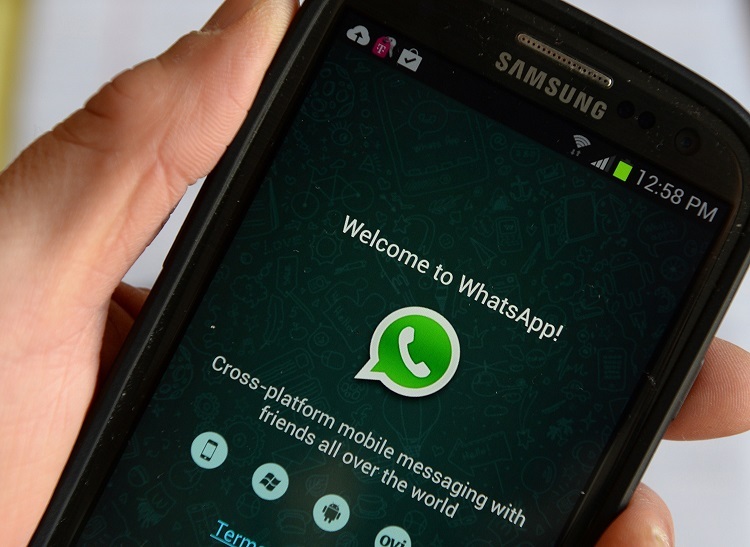 No wonder businesses are also looking at WhatsApp as a prime business communication channel. To help them, Whatsapp also launched ‘Whatsapp for business’ last year... a welcome step for small to enterprise businesses to shift to Whatsapp rapidly. 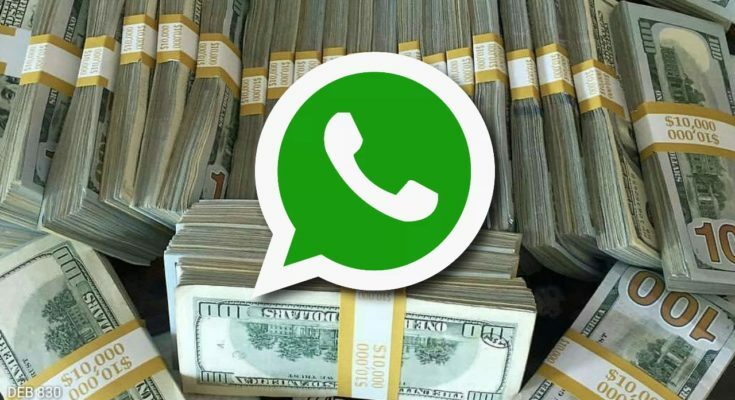 Here are some interesting ways, how our client businesses are using Whatsapp business to make or save money. Power Company: A leading Electricity distribution company in India with 2 million consumers is automating services on Whatsapp. Filing power complaints is one example. Customers send a command to the company WhatsApp number and instantly get the power complaint ID returned on WhatsApp. This is achieved by integrating WhatsApp with their in-house software for complaint registering. They are handling on average to 2000 daily queries automatically on WhatsApp. Savings: Approximately 6000 minutes daily (8 manual user agents). A huge saving on customer care expense and no waiting time for customers on the phone IVRS system. Online Store: An online electronics company exporting products across South Africa – wants customers to make a short video of the gadget while filing a complaint and send across…of course on WhatsApp! This communication is handled by a team of customer care agents. A complete data backup and agent performance analytics are used. You can imagine the nightmare it can cause when the customer is describing the issue with his gadget over the phone! Whatsapp is saving a 10 minutes call per customer currently and are able to resolve queries very quickly. Savings: With 250 calls saved every day due to Whatsapp, it translates to effort saving of 5 service agents + a huge customer satisfaction! Healthcare: An online Medicine selling company uses WhatsApp for getting orders. Though they have built a mobile app, encouraging customers to install the app to order medicines is challenging. Some customers are old and can’t use the app. However, customers are familiar with Whatsapp & use it to send their order details or prescription photos. Whatsapp number is used as authentication of the customer & hence fake cash on delivery orders are also avoided. Earnings: 400-500 orders daily or almost 50% of business comes from Business Whatsapp now. BPO: A call center in Brazil conducts periodic consumer surveys for their clients. Using API integration, it sends survey messages to the end customers on Whatsapp from in-house software. Whatsapp messages have almost 95% opening rate compared to SMS & email (which have an opening rate of as low as 1 to 5%). Responses to surveys from the global customer are received on WhatsApp – popular with local consumers. It uses BagAChat to back up the responses and for real-time graphical trends of responses, which it shares with the respective client on a periodic basis. Earnings: Responses and repeat business increase up to 5 times compared to doing campaigns on SMS or email. From the last 3 years, we provide business solutions on Whatsapp, to clients across 30 countries. It makes us happy to see the significant value we add in their businesses, as technology partners. We launched BagAChat more than a year ago. What we do? We enable our customers to use instant messengers (IM) like WhatsApp – as communication channel for their business. Why? Because, IM are free, popular and convenient to use for consumers today. Whatsapp & Facebook messengers have already over 1 billion active users. Fast forward 1 year… now we have many customers using our software including fortune 500 giants too! But what fascinates us more, is discovering the usage of popular Instant messengers by organizations - as we talk to them regularly to understand their needs better! 1. A major insurance company is using popular chat app to collect insurance policy application documents. Customers find it easy to take photos from mobile camera & send it over on their favorite chat app. 2. A national power company opened up customer service on Whatsapp with about 10 customers on day 1. After a few months, their support team is busy supporting more than 300 customers daily! They have integrated Whatsapp with their existing CRM too. 3. An electronics dealer exporting products across South East Asia – wants customers to make a short video of the product while filing complaint and send across… of course on WhatsApp! 4. A popular service provider in India provides instant complaint registration & bill payment status on Whatsapp. They use BagAChat integration with their App web- service, to provide hash tag based automated service. 5. A job portal is providing customer engagement & convenience by automating profile update & job search via instant messengers. Their target audience is young professionals – who are all on some or the other popular chat app today. 6. A Marketing company in Brazil built instant self-help services for it's own clients to help engage their consumers on Whatsapp. They use BagAChat API integration with their system, to provide this service. 7. A healthcare company uses WhatsApp for its team to communicate with network of associated doctors. Company tried to use it's own app, but the doctors found Whatsapp more handy than the company App! BagAChat is backing up their data on cloud and generating analytics from messages – for them to serve better to the doctor’s network. 8. An automobile global giant from Europe is using BagAChat for backing up the chats of all its sales professional on messengers – a medium, their customers prefer over Email & call. They are using BagAChat to analyze the quality of communication, get insights from communication & generate graphical reports. 9. A call center in South Africa conducts periodic consumer surveys for their clients & collects responses on WhatsApp – popular with local consumers. It uses BagAChat for real-time graphical trends of responses, which it shares with respective client on a periodic basis. 10. A media house in Kenya is collecting entries & registration details of website visitors on Whatsapp for all eventually sharing offers, event information. They use BagAChat for automatically backing up these details on cloud & send an instant ‘thank you’ reply. 11. A luxury cars dealer recently collected the vehicle numbers of its customers for a lucky draw during a festive season. They used BagAChat to avoid any manual efforts to collate the responses and find a lucky winner. As new customers keep joining us, we are discovering creative uses by organizations to tap popularity of Instant messengers – for better customer engagement, convenience & team productivity. We at BagAChat are getting ready by shaping our product accordingly. Are you also getting ready for this paradigm shift of business communication from conventional channels to instant messengers? Messengers are the Future: Today, the popularity of Instant messengers (IM) like WhatsApp, Telegram etc. is un-questionable. IM communication is not restricted only to personal chats any more. Consumers are reaching out to businesses too, using messengers. After all, it’s so convenient instead of downloading & using the business app! As communication is shifting from traditional e-mail/SMS to next generation messengers, being available on WhatsApp or other popular messengers is no more optional. Managing IM data is a pain: its good news for companies that IM are helping more people to connect to business. Communication ranges from basic queries, complaints to even ordering services & products! However, as more and more customers are trying to contact on messengers, businesses face issue of how to manage data. Most of the IM including WhatsApp are not designed for business communication yet. They don’t even save history of communication beyond certain limit. But, the growing popularity of messengers like WhatsApp, forces companies to remain connected on WhatsApp and dedicated human resources to manage the data. -Searching & filtering data using multiple search parameters. -Viewing Analytical trends helping understand customer behavior & support quality. Companies Look for IM integration: Many companies have their own customer service solutions like CRM, App, website etc. They don’t want to maintain data in two different systems: one for Instant messengers & other for rest of communication channels. Companies prefer to integrate messengers like WhatsApp to their existing customer service software. IM Integration with Business Software: BagAChat helps here too. It provides Message Forward to company software. The messages coming on WhatsApp get forwarded to the company software, along with the sender’s contact number. Also, for adding this connectivity, companies don’t need any software development in most of the case. If your software supports REST API, then BagAChat provides a setting – which helps integrate messengers to your software, merely by configuration! This is so convenient, as it saves companies from spending months in developing, testing and putting the API connectivity in production. Companies can go live with messenger connectivity in few hours! Get on Messengers with Customers: As messengers like WhatsApp have made life of consumers very easy to talk to business, similarly solutions like BagAChat have made the life of business team convenient coping up with this migration from email to Instant Messengers. Bulk Marketing is easy, but ineffective: A lot of Marketing houses, teams still think that lead generation marketing campaign is all about buying a contacts database and doing a bulk emailing or bulk SMS. It looks like a short cut to success! It was indeed a shortcut for some time. Unfortunately, not anymore! Everyone hates Spam: People hate spamming. Many email service providers like Gmail know this and have created ‘Promotions’ folder for such bulk emails. These folders are like an extension of SPAM folder. Can you recall, when was the last time you visited your ‘Promotions’ tab in Gmail account? SMS is brutally exploited by bulk marketing! Out of frustration, people nowadays don’t read SMS on arrival of new message, assuming it as spam marketing message. Some people have started hating the brands, which keep sending periodic SMS offers! Result? Such bulk marketing campaigns end up with a poor success rate of 0.2-0.5%! Are you spending money to get that level of success rate? Do people hate offers? : Why does this happen? Do people hate benefit from your offers? No. But they want the offers when they are looking for it. They don’t want to be bombarded with spam offers. Attract Consumers: Come out of bulk marketing mindset ASAP and boost success ratio of marketing campaigns by using Inbound Marketing. Social Media platforms like Facebook, twitter, WhatsApp and other messengers are good platforms to attract. Today, the most popular channel for consumers is Instant messengers like WhatsApp, Telegram. People are always on messengers. Messengers are free (unlike phone call & SMS) and extremely convenient. Why is WhatsApp popular? Simply, because it doesn’t support spamming experience to users. Their terms and conditions reiterate the same. Connect Consumers to Brand on WhatsApp: As a marketing strategy, publish your WhatsApp number everywhere. May it be on your website, your social media pages, your TV/print Ads, mailers, pamphlets etc. Encourage consumers to participate in contests, vote in opinion polls, share feedback, rate your services, send suggestions & complaints… all on WhatsApp. Give an incentive like a coupon code, discount or lucky prize for participating/contacting or winning. Since there is an incentive & participation is free, everyone wants to connect with you. 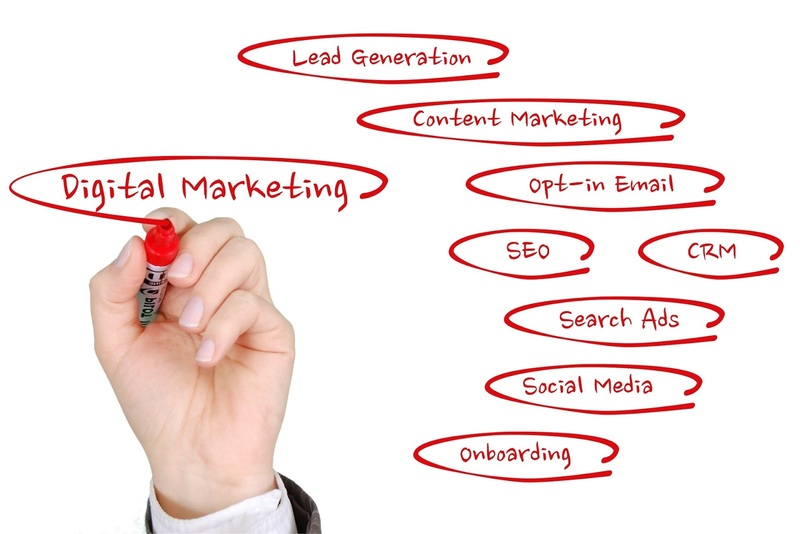 With this approach, your inbound marketing campaign attracts more and more meaningful leads, in every marketing campaign. Manage Leads & messages without efforts: Campaigns on messengers like WhatsApp, are bound to be successful. And that means managing huge number of leads & messages. However, solutions like BagAChat help you out here. BagAChat captures & manages these leads as well as messages real-time. Respond senders instantly with the current offers/discounts etc. 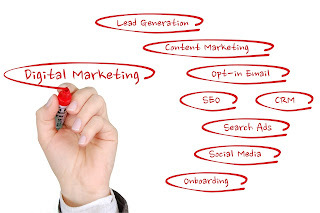 All the manual efforts to generate leads, filter fake leads, view marketing campaign trends etc. are eliminated by BagAChat. Targeted Marketing: Messengers help build engagement with your brand among the leads. As the consumer engagement on messenger becomes more and more, these leads are bound to turn into your loyal customers, sooner or later. Let they query for offers on WhatsApp, when they need it and you are always there to serve them! So, focus on attracting consumers rather than losing them by Spamming. Customers taking time to download your new App? Get on WhatsApp with them! Every new businessman, feels that building an app for customer service, is gateway to success. With this mindset, businesses spend thousands of dollars and time in coming up with a sleek, super-efficient app, compatible on multiple platforms. "Sould I install app for each restaurant in town? Why should I learn new UI every time?" "I need to visit many doctors, why should I install apps of all the hospitals in town?" "For hiring a taxi, why should I have 10 apps downloaded, for each taxi service?" "My city has 50 online grocery stores. Do you expect me to download 50 apps?" "I don’t know this company…not sure, what data they might access from my phone?" Bottom-line… Today, no customer is really interested in slowing down his smartphone, for installing an app, from a new company. So, to ensure the investment done on app development brings some results, we end up paying, another thousands of dollars on marketing the App. Even after that, we see fewer app downloads and not enough orders via app. Already going through this? Or seen someone go through this? Growth of your client base is not because of a sleek app. It’s because of your nature of services, the delivery & pricing model, your excellent service repeatedly. Your investment in new business must be focused around improving these aspects and not building an expensive app, to start with. Initially, you can focus on less costly customer acquiring channels like Phone call, Email, SMS and the most popular with customers now a days… WhatsApp. WhatsApp is free for customers locally as well as internationally. Customer can send requests as text as well as media files (e.g. photo of grocery list, a broken product to be serviced etc.) to company. Customers are using the UI that they are most comfortable with. Customer can send requests round the clock. How convenient! Benefits to your business using WhatsApp? Huge cost saving with more customers. You can provide customer service with just a single WhatsApp enabled phone. No investment on multiple phones and phone operators. Whatsapp phone number is genuine. So, no need to pay for an OTP authentication service, especially if you accept COD payment. For regular customers, who already know you, you can minimize orders via market place app who charge 10-30% commission on orders. Customer service is even more easy on WhatsApp using Bag A Chat customer helpdesk solution. This solution is same as the automated Email or SMS based helpdesk, except for it connects to WhatsApp. If you have an existing CRM/helpdesk tool for customer service, then Bag A Chat solution connects WhatsApp to your service tool. So, your service portal remains the same for customer representatives. For details visit, http://bagachat.com/customer_helpdesk.html or contact info@bagachat.com to book a demo. Investment on App will help eventually. But, the more your business grows, the more your customers will be happy to download the app! It’s not the other way round! Why Customer Service on WhatsApp is win-win for customers and companies? Today, a business needs to be available on all communication channels with customers. Some customers like to use the sleek app, some are comfortable with the email & SMS and a few prefer calling. But a lot of customers are now finding it convenient to send their orders/requests on Whatsapp. Let’s see why other channels are losing ground to WhatsApp? Email – Once a very popular medium, email has been heavily abused now by spammers. Even fake customer queries are very common using Email, as real identity can be hidden. It’s also inconvenient to use on smartphone, which is a de-facto device for most customers today. SMS & phone call– There is a cost to message or call. Also, you can’t send media files like photo of your shopping list. A call can be missed by company, if there is inadequate number of phones and operators are busy. Service on phone call, is restricted by working hours of company. App – The cost of building and marketing a new app is huge and returns on investment take a long time! With more than 20 million apps available online, people have lost the craze of downloading new apps. By default, there are already 40-50 popular apps everyone has on their phone. So, new app download means slowing down the phone & learning another app UI. Also, if you are an emerging business, then people doubt if your app accesses personal data from the phone. This amazingly simple app is free to use locally as well as internationally for the customers. Send as many messages to company at no cost! It allows you to share your request as text as well as media files (e.g. photos of broken device to be repaired, medical report of blood test etc.). I does not breach privacy. Companies can connect with customers only when customers start the communication. Customers can request round the clock. No need for the company representative to be present to take down the request. Why businesses getting attracted to WhatsApp? Customer service for all customers can be done virtually using one phone – with Whatsapp installed on it. No investment on multiple phones and call centers, just to avoid a missed call or busy tone. Customer representatives can focus on working on requests instead of getting busy with phone. A customer is authenticated naturally as Whatsapp is attached to a genuine phone number. Helps a lot to avoid fake requests/orders especially for COD mode of payment. No need to spend on OTP authentication service. Request details are very clear thanks to media files supported on WhatsApp. Your company number is in the customer’s contact list! To ensure the Customer service requests received on WhatsApp, Bag A Chat provides a helpdesk solution, which manages the messages just like any other helpdesk system on email/ SMS. And, if you already have your app or website, this solution helps connecting WhatsApp with your service dashboard. So now your existing system is also connected to WhatsApp to serve customers better! For more details, visit http://bagachat.com/customer_helpdesk.html or drop a mail to info@bagachat.com for a demo request. 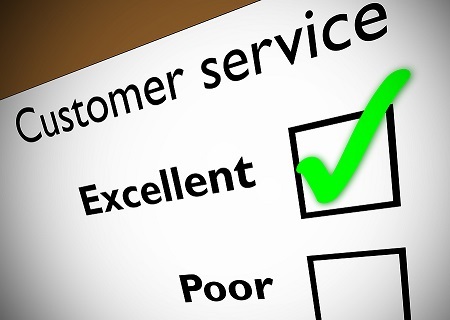 Customer service is key function in every business. However, a conventional customer service comes at a significant cost. A typical customer helpdesk has one or many phones to attend the call. With every phone, there is a cost of attending it. You don’t want your customer to get an engage tone or a missed call. And still, many companies end up doing a restricted hours support (e.g. Monday-Friday 10am-6pm), based on the team’s availability. If you are looking for round the clock support, then the customer service cost multiplies. This cost becomes a challenge for small and medium sector businesses like food ordering, real estate, consultants, hotels, e-commerce, startups, hospitals, service stations, customer care centers and many more. Automated customer service using Email and SMS were good alternatives till recently, to reduce cost. However, thanks to advent of messengers like WhatsApp, telegram etc. customers are shying away from emails and SMS. WhatsApp which is a free messenger - has over 1 billon active users as of today. An average user checks WhatsApp more than 23 times in a day. It supports text as well as media like images etc. and very quick and convenient to use. You can handle all your customers virtually on a single phone device using WhatsApp. No question of engaged or missed call! Someone needs to continuously monitor the phone to take action. Keeping track of which customer queries are answered and which are open is hard to track. Organizing hundreds of messages every day, involves significant manual efforts. WhatsApp can’t be integrated with CRM or other customer dashboards used by business. Bag A Chat has launched customer service helpdesk on WhatsApp – with an objective of eliminating the limitations of WhatsApp and similar messengers, in business use. How ‘Bag A Chat’ works? Helpdesk app and Whatsapp are installed on the company customer service phone. Customers continue to message on WhatsApp only- no other app needed. WhatsApp messages from customers converted to ticket customer helpdesk system, on arrival. Auto routing to appropriate customer service agent based on the message type. Support agents can view these tickets, on any device like laptop, desktop, smartphone. There is no need to continuously check the phone for incoming messages. Support team and management get the graphical dashboard to track customer tickets, service SLA, generate alerts on delayed unresolved tickets etc. The solution is available on a monthly subscription. So no big upfront investment needed to try and establish customer service on WhatsApp. If your business has a customer service system like CRM, app, website, helpdesk system etc. the Bag A Chat solution helps integrating WhatsApp with the same, using a simple API. Using WhatsApp To Market Your Hotel ? 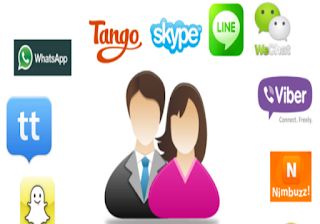 Insurance Professionals Adopting 'Bag A Chat' App for Effective WhatsApp Marketing? Bag A Chat is not associated with Whatsapp Inc. or Hike or any other instant Messengers and its affiliated companies. The Service is on the top of existing popular Messengers. The logos or images or trademarks are used for examples or representation only.